Alessandro Maurizio Cabella has 20-year of a glittering career in France, Monaco, Portugal and Italy, including the stunning Hilton Molino Stucky Venice. Alessandro Cabella previously managed the launch of Conrad Algarve in 2012, another stunning luxury hotel which has garnered multiple awards. 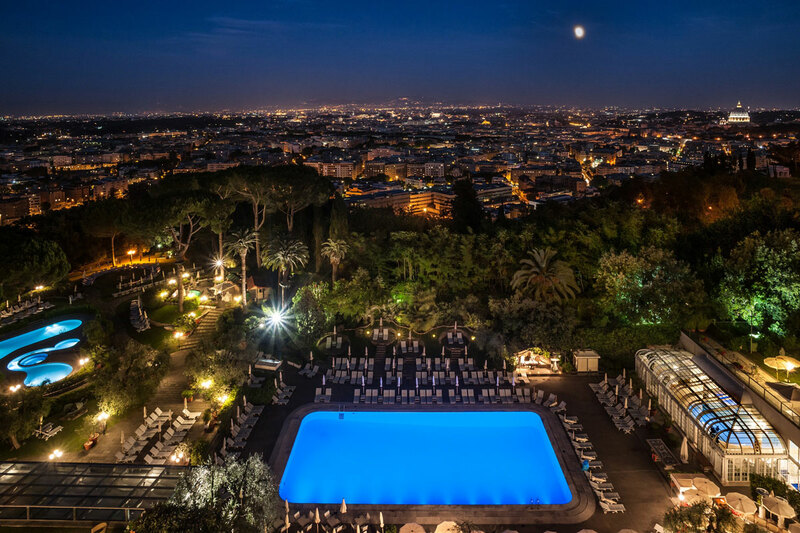 Inaugurated in 1963 by Conrad N.Hilton himself, the opening of the Rome Cavalieri coincided with a period of unprecedented economic development and the heyday of the so-called “Dolce Vita”. the building is an admirable example of modular architecture, resulting in a style which is both clean-lined and functional. Ever since its opening, the hotel paid close attention to providing the highest level of comfort to its guests, and it is for this reason that it soon became the number one choice of movie stars, businessmen and international visitors alike, all demanding the highest standards of luxury. 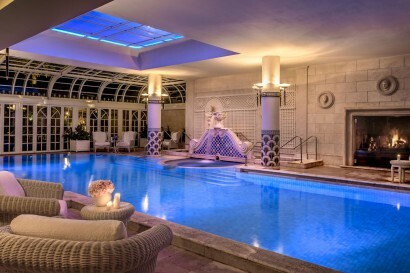 • Award-winning Cavalieri Grand Spa Club with 1 indoor/3 outdoor heated swimming pools including a children’s pool. 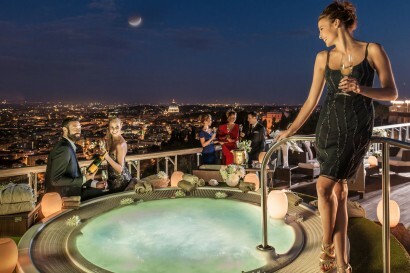 Located in the residential area of Monte Mario, Rome’s highest hill, the Rome Cavalieri is just 3 km from the Vatican and 5 km from the historic city centre, reachable with the hotel’s private shuttle bus service. 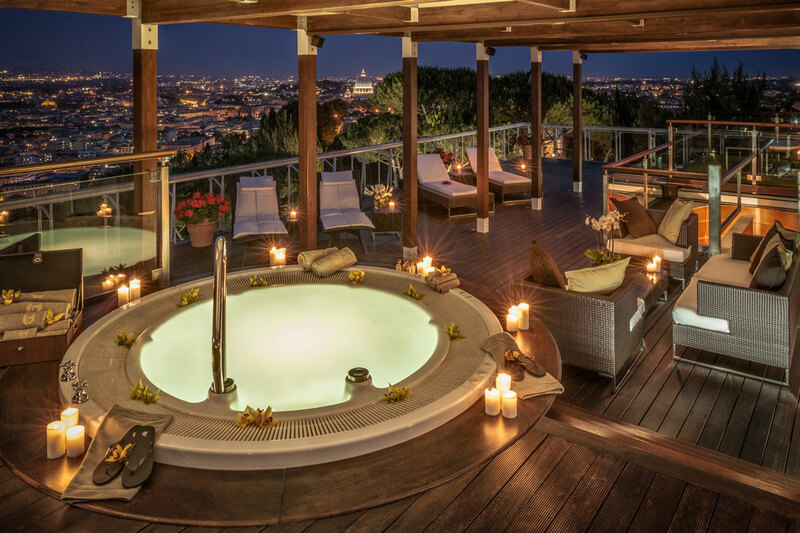 It is nestled in a 15-acre private Mediterranean park, overlooking the Eternal City. Take a spin in the car of your dreams with the Rome Cavalieri. 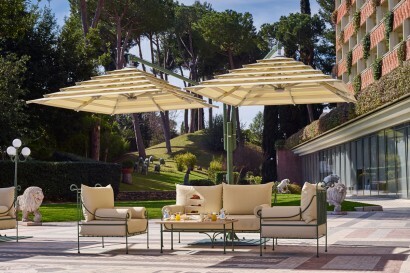 The most beautiful models in the world are now available at the Rome Cavalieri for those hankering after the fast lane. Name your dream design and the car will roll up the drive, ready for you to take it on a spin around town and country. Take your Ferrari, Lamborghini or McLaren around the winding roads that made the “Gran Turismo” famous or for a spy caliber driving experience, choose an Aston Martin. For initiates to super cars the Waldorf Astoria Driving Experience includes a comprehensive briefing on the F1 paddle-gear shift, a tour director and full mechanical support. 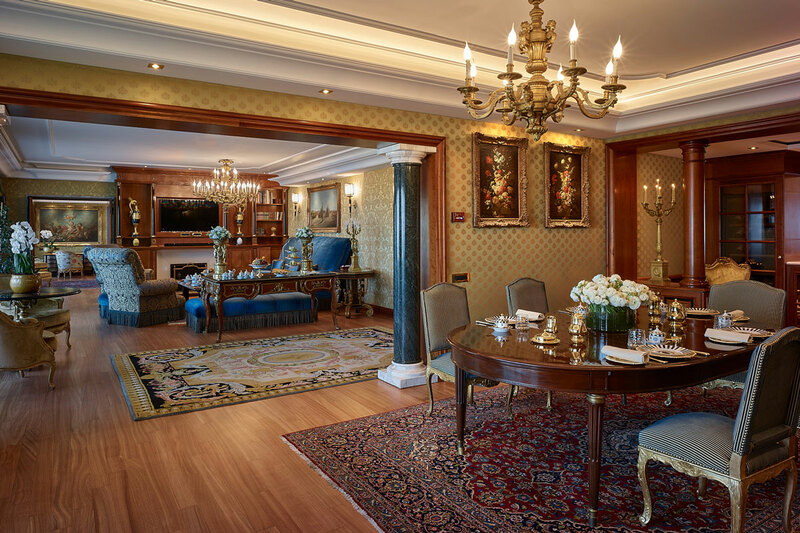 Arts and crafts sessions, mini-gladiator lesson, treasure hunt in Villa Borghese, ‘Baby Fashionistas’ shopping tour, entertainment at the Sunday Brunch throughout the year. Dedicated activities in the IT club during Summer include art, sports, cooking and more, while mixing fun with quality learning. 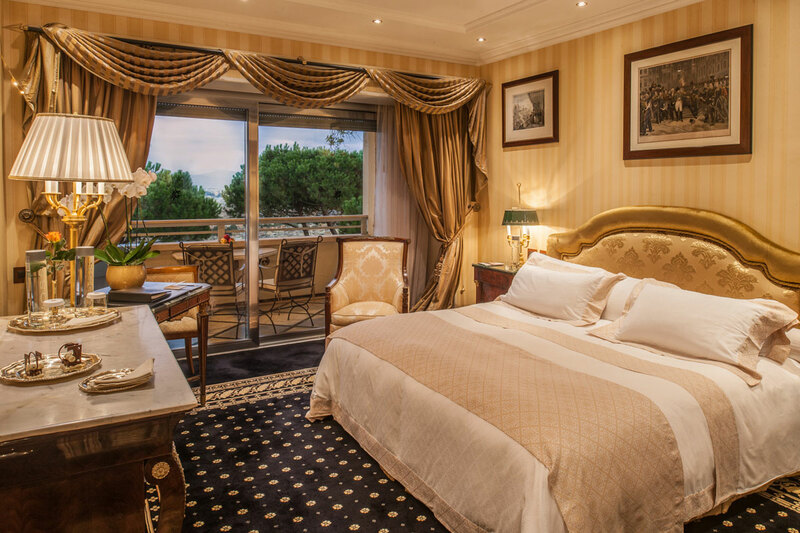 Rome Cavalieri’s young guests are also invited to enjoy an optional breakfast at the IT Club, if parents fancy some peace. • 345 spacious, 42sq.mt./452 sq.ft. deluxe rooms, with 8sq.mt./86sq.ft. private balcony. Each one is designed with sleeping and living areas, and comes with a range of stylish features like baths in Roman travertine marble and flat screen televisions, as well as a spacious balcony for an “al fresco” breakfast or evening aperitifs. The rooms on the two Imperial Floors have been designed for travellers who demand the very best. 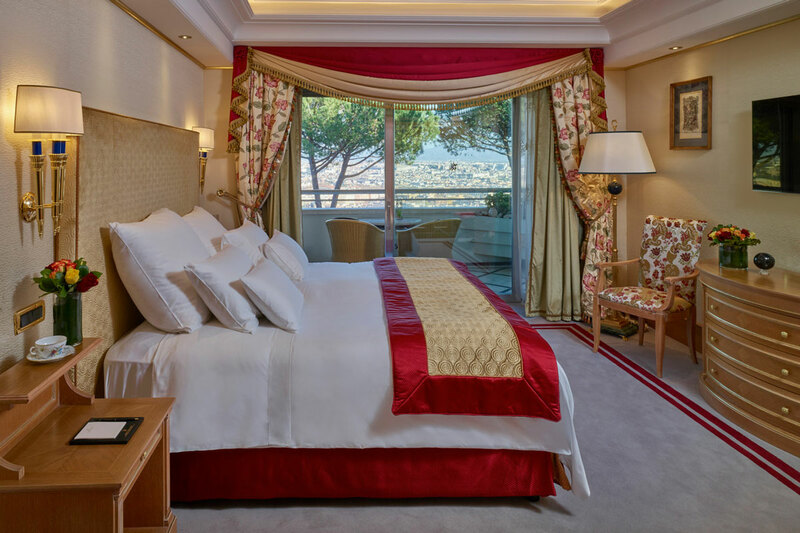 They offer a range of extras including separate check-in and VIP elevator, king-size “floating featherbeds”, enhanced luxury toiletries and upgraded entertainment facilities.  They also benefit from the use of our exclusive Imperial Club (complimentary drinks and meals during the day) as well as complimentary access to the Grand Spa. 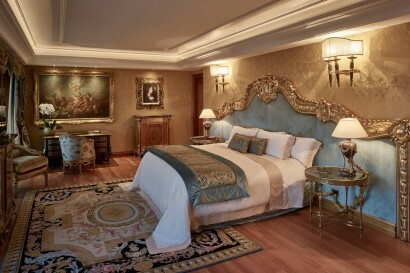 • 25 luxurious suites, offering the ultimate in luxury accommodation and ranging from 80-450sq.mt./860-4,845sq.ft. 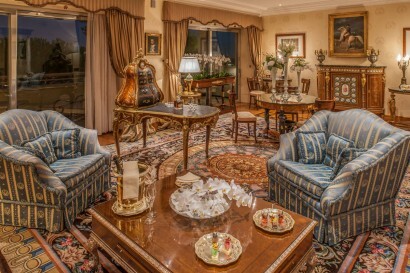 in size, individually decorated and styled to showcase valuable antique furniture and paintings. Furnished either in classical style or contemporary style, they all provide unparalleled experiences enhanced by the highest levels of service. • Penthouse and Planetarium Suites offer private 200 sq.mt./2,150 sq.ft. 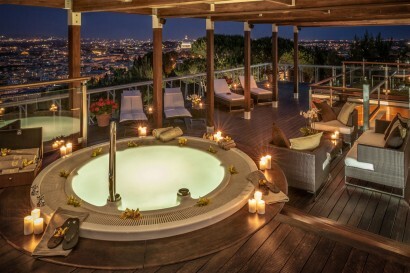 terraces with hot tubs and breathtaking views of the Eternal City and St. Peter’s Basilica. Under the direction of celebrity chef Heinz Beck, Rome Cavalieri is the only hotel in Italy to boast a Michelin-rated three star restaurant. The stylish roof terrace offers panoramic views across the city. 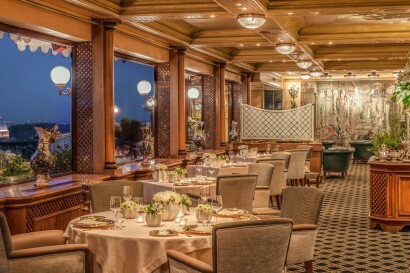 Directed by Chef Franco Verucci, it overlooks the landscaped park and outdoor pool and serves a full menu of Mediterranean and international dishes. 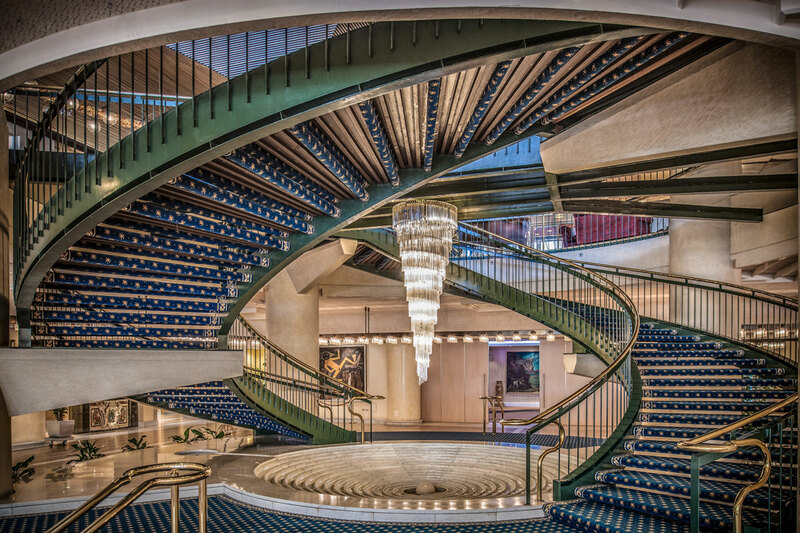 Surrounded by famous artwork, including Tiepolo’s masterpieces, the Tiepolo Lounge is the perfect rendez-vous for morning coffee, light lunches, snacks, drinks. Live entertainment every evening. Located on the pool terrace, the Pool Bar is open throughout the summer season, offering a selection of refreshments and drinks, including home-made ice-cream. Offers a selection of healthy drinks and light meals, including freshly squeezed juices, herbal teas, fitness drinks and fresh fruit. A seasonal ‘’al fresco’’ grill serving hot and cold dishes, as well as screening live sporting events on large plasma televisions. 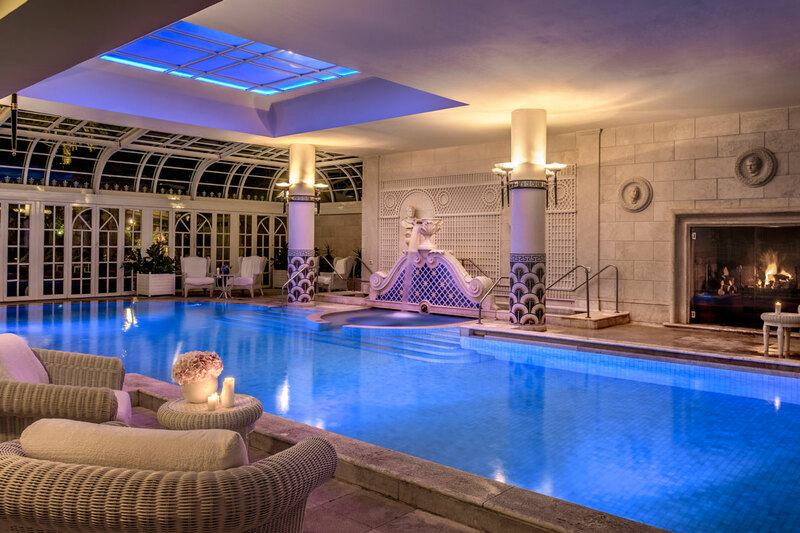 • The award-winning Cavalieri Grand Spa Club is Italy’s most luxurious spa and fitness facility, encompassing over 2,500sq.mt./26,900sq.ft. of pampering, relaxation and wellness space. • Ten individual and themed treatment rooms offering a wide range of spa services, from La Prairie facials to Ayurvedic massages, as well as two saunas, whirlpool and an amethyst Turkish bath. • State-of-the-art fitness centre with Technogym® equipment and full programme of classes. • Three outdoor swimming pools, including children’s pool, as well as a glass-domed indoor pool, featuring cascading waterfall, hydro-massage pool, Japanese stone walk and an impressive wood-burning fireplace. • Two floodlit Davis Cup red clay tennis courts. • The largest and most modern congress centre facility of any European 5-star deluxe hotel.  • Private tours of e.g. Vatican, Sistine Chapel and Vatican Gardens, of historical palaces; luxury tours with private art historian of historical sites in Rome (Via Giulia, Trastevere) as well as visit to a leading Italian jewellery workshop.